So I've decided to embark on a Youtube tutorial journey and my first video is on, "How to make scrunch ruffles". 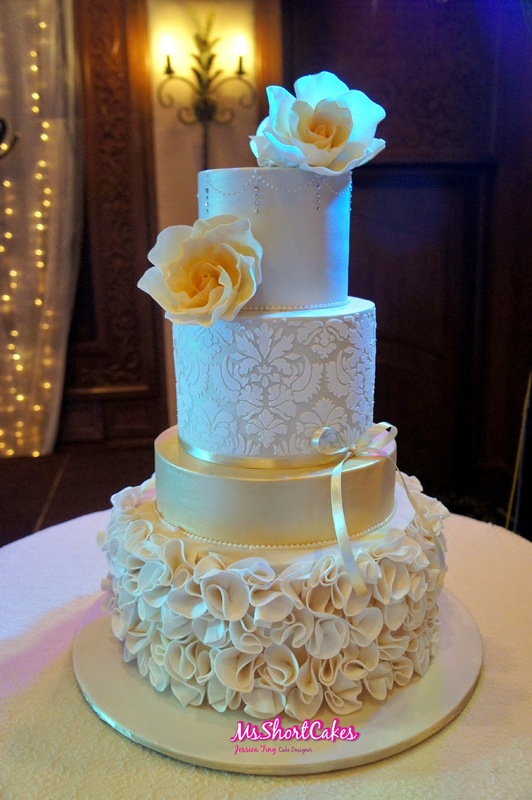 I make them quite a lot and they give a wedding cake a beautiful vintage touch. It's very time consuming but the end result is well worth it. You can view the video by following the link below to Youtube and don't forget to subscribe to my Miss Shortcakes channel as well, as I will be uploading more tutorials in the near future!